Curtains Kit consists of 6 pieces for folding tent 3 x 4.5 m PopUp Shelterlogic. Textured polyester with PVC window cathedral. 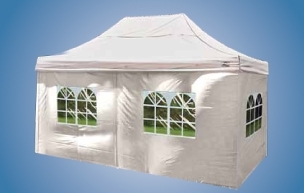 Height 1.9 x 2.20 m. Compatible with reception tent foldable reference 22599. (2) Approximate quantity, updated hourly. Product in stock for the quantity indicated in the article.